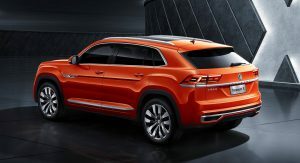 For the auto enthusiast who knows a thing or two about Volkswagen, delving into the automaker’s Chinese lineup equates to opening the door to a parallel universe. 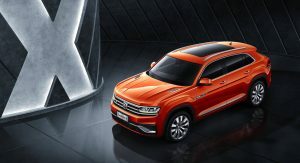 Through its main joint ventures with FAW and SAIC, VW has revealed many China-exclusive models in recent years and this trend looks set to continue at an accelerated pace. 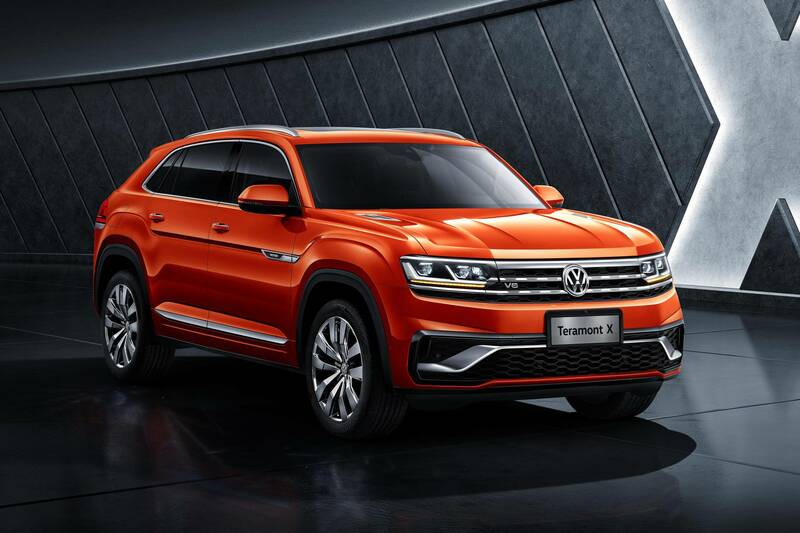 VW and its partners have a slew of debuts for this year’s Shanghai Auto Show. The ID Roomzz and SMV concepts are just two of them. 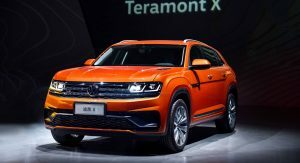 Two new SUV coupes will also be showcased at the event: the Teramont X production model and the SUV Coupe Concept. 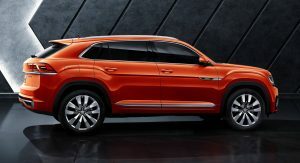 The latter may be labeled a concept but it’s essentially the coupe version of the VW Tayron SUV launched by FAW Volkswagen last year. 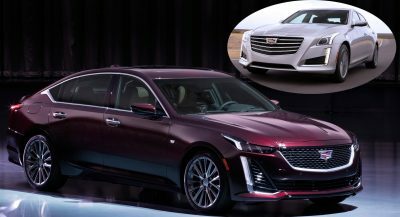 It looks like a production vehicle and that’s not surprising given that it should enter production later this year. 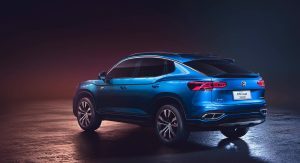 As with the Tayron, the coupe version will use the MQB platform and the same 2.0-liter TSI turbocharged gasoline engines. 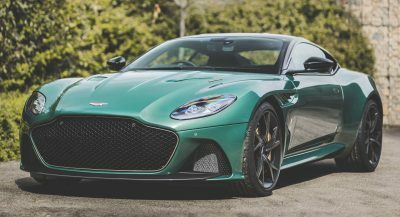 The study is 4,586 mm (180.5 in) long, 1,860 mm (73.2 in) wide, and 1,635 mm (64.4 in) high, with a wheelbase of 2,731 mm (107.5 in). 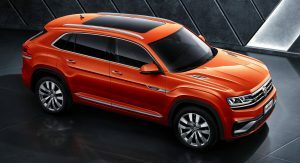 That makes it bigger than the standard Tiguan but smaller than the Tiguan Allspace. 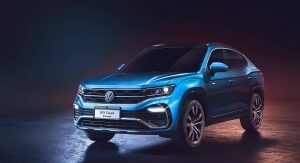 Basically, this pre-production study previews VW’s smallest SUV coupe for China as it will slot below the Teramont X.
That’s the name VW has chosen for the Teramont coupe — or Atlas Coupe as it will be known in the United States. We’ve already seen plenty of pictures of the Teramont X but these are the first official ones. 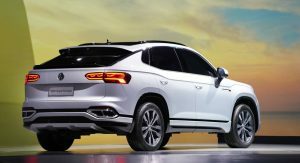 As you can see, the sloping roofline doesn’t look as dramatic as on the SUV Coupe Concept, making the Teramont X look more like a conventional SUV than a so-called coupe SUV. Compared to the regular Teramont upon which it is based, the Teramont X is slightly shorter and lower. The SUV is 4.9 meters (192.9 in) long, 1.99 meters (78.3 in) wide and 1.72 meters (67.7 in) high. The wheelbase remains the same though at 2.98 meters (117.3 in). 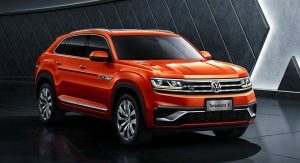 In China, the VW Teramont X will offer the 2.0-liter TSI engine in two states of tune (186 PS/183 hp and 220 PS/217 hp), as well as a 2.5-liter TSI VR6 engine that makes 299 PS (295 hp) and 499 Nm (368 lb-ft) of torque. Yawn. 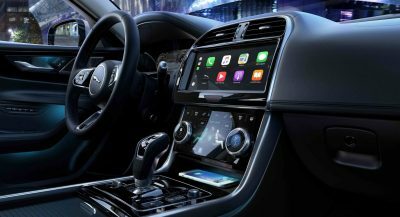 Car design doesn’t see to have progressed in the past 10 years. The blue one looks kind of ugly, but the one in white looks pretty nice. A lot of amazing looking crossovers, hopefully a few of them make it over to the US. 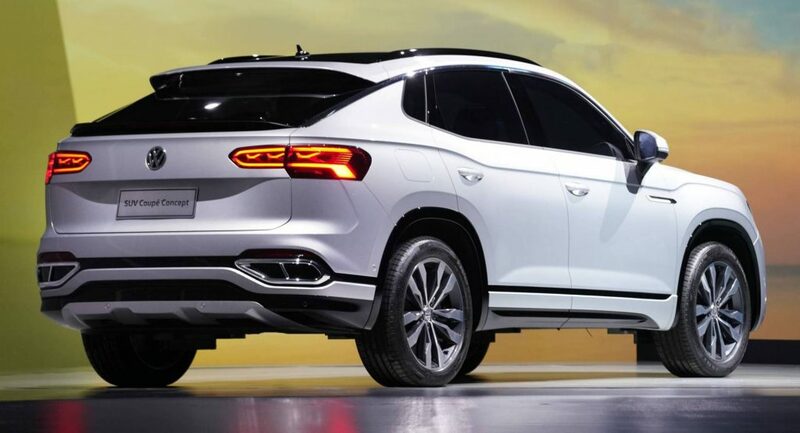 It’s just VW’s version of the Cayenne Coupe.